Singledou[b]t: Got a Shop? I Want to Help! Got a Shop? I Want to Help! If you've visited my blog in the last day or two you might have noticed a new ad section. I've been so blessed by all the bloggers who are promoting my shop lately that I wanted to do the same. Head down below and click on the Holiday Shop Promotion Spot. Don't worry its free if you want! Use the code SHOPPROMO and you get the 2 week spot for free. The promotion will run until the end of the year so feel free to get 3 free spots. All I ask is that you follow me! 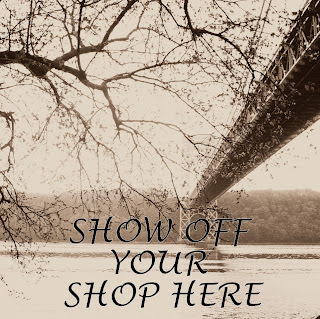 I will help promote you with the lovely top placed ads but I will also help tweet, facebook & pinterest your lovely shops! Let me know if you have any promotions going on and i will be sure to help get the word out! Also, if you have a Shop Guide going on at your blog I'd love for you to promote it here too! Same process applies. See that doesn't sound so hard, right? If you want to purchase another size ad, please feel free to do that as well. Use the code: NOVFUNN for 50% OFF all ads. You are so awesome for offering this. I just submitted my ad. hey kim! thanks for linking up with us at an aloha affair! its so nice to have you. Such a fantastic way to promote small businesses. Thank you so much for the opportunity! I follow you via Twitter/Facebook and Bloglovin!